Playtech are one of the biggest online casino software providers and included in their portfolio are over 200 different slot machine titles. On this page we’re going to show you the payout percentages of Playtech slots so you can see which have the best and worst return to player percentages. Playtech game titles can be found on most of the world’s leading online casinos, and thanks to the sheer size and success of the company, their portfolio of games is the largest and most diverse of any gambling software developer. There are, in fact, over 600 different titles (240 slots) developed by Playtech and hosted by their 140 different gambling licensees around the world. Amongst the games developed and supplied by Playtech are a variety of what would be most accurately described as classic casino table games. These include a number of different blackjack varieties, roulette games and poker alternatives (single player games hosted by online casinos and separate from Playtech’s actual online poker clients). Playtech, too, have branched out into the live dealer field and supply a number of such games to major online casinos. Aside from such themed games, Playtech have also created a number of their own slots ‘franchises’, such as the Age of the Gods range of slots. There are now loads of these games themed around the pantheon of Greek Gods and many of them are progressive style slots, linked to fully four different progressive jackpots. It is mostly thanks to the large and impressive payouts which the most valuable of those jackpots provides, therefore, that the Age of the Gods slots games have become amongst Playtech’s most famous and most popular titles around the world. Playtech have an absolute plethora of slot machine titles which range from a return to player percentage of 88.00% up to 99.32%. The average RTP% of Playtech slots comes in at 95.13% which when compared against the best slot machine providers doesn’t really stack up that well. In fact it puts them towards the bottom of the pile where average are concerned. What does that mean for players? It means they must be very aware of the payouts percent on the Playtech slot machine they are playing because on some you’ll get a pretty damn good deal and on others you’ll get a pretty terrible one. ‘leaders in next generation technology and content; regulated markets and responsible gambling’. The company has fully 17 different registered offices around the globe and employs a total of more than 5,000 people. Providing their so-called ‘omni-channel gambling offering’ to some of the world’s biggest brands, Playtech boast an impressive 140 global licensees across 20 different regulated jurisdictions. What is now an unquestionable goliath of the gambling world, however, grew from largely humble beginnings in Tartu, Estonia. It was there in 1999 that Teddy Sagi and a group of entrepreneurial partners with experience in the casino and software engineering industries got together and first founded the company. After close to a full two years’ worth of work and development, Playtech welcomed its first online casino licensee on the 31st December 2001 and has hardly looked back since. 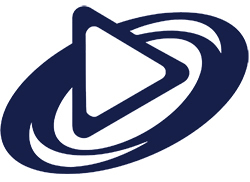 Between 2001 and 2006, Playtech grew both in terms of market share and company value, whilst also expanding and diversifying their product portfolio. The company developed numerous online gambling software platforms, solutions, games and other offerings within the online casino, sports betting, bingo and poker industries. When it comes to the latter, one of the firm’s major early moves came in 2004 when they founded the iPoker online poker network; the largest such network in the world. 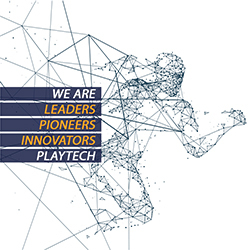 Thanks to the company’s impressive and rapid growth in its early years, Playtech’s board took the decision in 2006 to float the company and go public on the London Stock Exchange. The floatation proved to be a shrewd and successful move, with Playtech entering the AIM market (the market for smaller, growing companies) at an initial valuation of approximately £550 million. Having gone public, Playtech possessed even more financial clout and quickly began using it to fund further expansion, often via acquisitions of rival companies and brands, or through opening new offices in different countries around the world. Such moves took Playtech into nations like Bulgaria, Italy and Spain, and saw them further diversify the services and products offered to their clients. Perhaps Playtech’s most active years, when it comes to growth and expansion, came in 2010 and 2011. In that 24 month spell, the company acquired a whole host of smaller, competing firms. Those firms included Mobenga (a leading mobile gambling enabler), Virtue Fusion (the largest bingo provider in the UK) and Intelligence Gaming (a leading provider of management systems). Playtech’s aggressive and successful expansion meant that the company continued to grow apace, and in 2012 they moved from trading on the AIM market to the main market of the London Stock Exchange. What their acquisitions and agreements with major companies also allowed Playtech to do was to continue to grow and develop their portfolio of software solutions and other online gambling offerings. Today, therefore, Playtech boast that they provide clients with gaming products and software solutions which can be fully integrated into a complete cross-platform offering. What’s more, their solutions cover not only the online casino market but also online poker, bingo, sports betting and live gaming. In spite of the diversity of their portfolio, however, it is their online slot machine titles which Playtech are still arguably most famous for.